Between 1962 and 1970, there was an increase in popularity of soulful ballads in Southern California. These slow jams were played in the clubs in Southern California and could be heard in cars during this eight year period. Initially, it was the Mexican, Central and South American immigrants who had settled around east Los Angeles that embraced the soulful ballads. Their popularity has grown since then. Since then, the popular of soulful ballads has grown, and now, are favourites of soul fans and record collectors around the world. Some record buyers were drawn to the music after being fascinated by the titles of the songs that were finding favour amongst the lowrider set. The lowrider scene was named after the members love of classic American automobiles, which were customised as used to cruise the streets of LA. This became really popular between the early sixties and the dawn of the seventies which is the period that Ace Records’ new compilation This Is Lowrider Soul 1962-1970 covers. 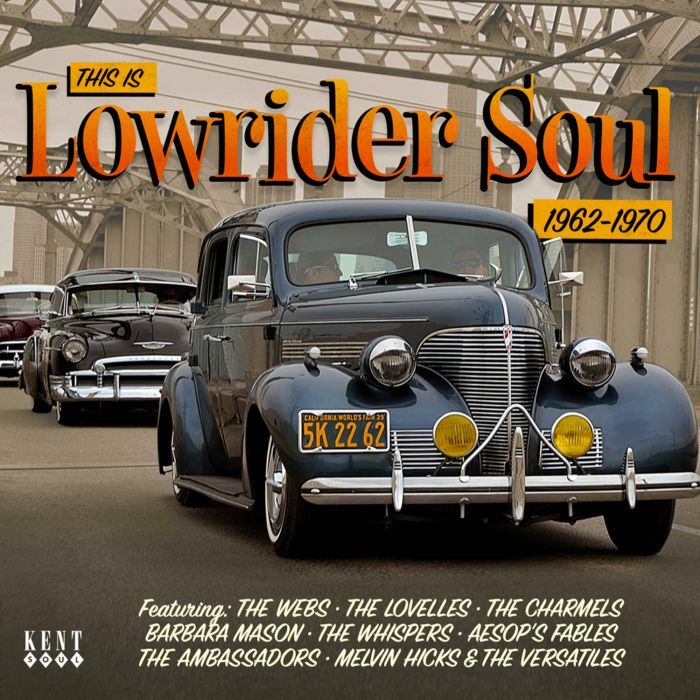 This Is Lowrider Soul 1962-1970 features twenty-four tracks including the blue eyed soul of Aesop’s Fables’ 1967 single on Atco, Take A Step. This is the start of what’s a soulful compilation. Doo wop is represented on This Is Lowrider Soul 1962-1970 by The Vows’ I Wanna Chance, while The Four Tees’ sweet soul harmony ballads One More Chance is a welcome addition. There’s numerous lowrider classics including Brenton Wood’s Where Were You, Lee Williams and The Cymbals’ Til You Come Back To Me, Barbara Mason’s Oh, How It Hurts, The Whispers’ As I Sit Here and The Ambassadors’ I Really Love You. These classics are joined by some lesser known tracks that ooze quality. Among them are The Lovelles’ Pretending Dear, The Attractions’ Find Me, The Charmels’ As Long As I’ve Got You, Jeff Dale’s Don’t Forget About Me Baby, The Webs’ It’s So Hard To Break A Habit, Reuben Bell with The Casanovas’ It’s Not That Easy and Crying All By Myself by William Bell. Closing This Is Lowrider Soul 1962-1970 is I’m Just Passing Time by Melvin Hicks and The Versatiles which closes the compilation is soulful style. It’s a welcome reminder of the lowrider scene scene which became popular in the early sixties and grew in popularity right through to 1960. That is the period that Ace Records’ compilation This Is Lowrider Soul 1962-1970 covers. This Is Lowrider Soul 1962-1970 us a lovingly compiled compilation that features everything from lowrider classics to unreleased sings and some lesser known slow jams that literally ooze quality. All these classy cuts make This Is Lowrider Soul 1962-1970 a must-have for anyone who likes soulful ballads, slow jams and smoochy music. ← MANCHESTER-A CITY UNITED IN MUSIC. I hear the soul part but I don’t quite get the Latino feel in a number of the tunes that are included on some of these compilations. Maybe it’s my association to the Lowrider term.